Where to from here will be on the minds of investors globally. If you are a long term holder – been in the market for 10-20 years or bought even back in early 2009 you are probably not thinking too much about what might lie ahead. If you bought during the course of the last six months and still holding those stocks you are probably under water with some stocks if not all and you have some hard decisions to make. This week I thought we should look at key indicators and see can we find answers about where the market might go from here. 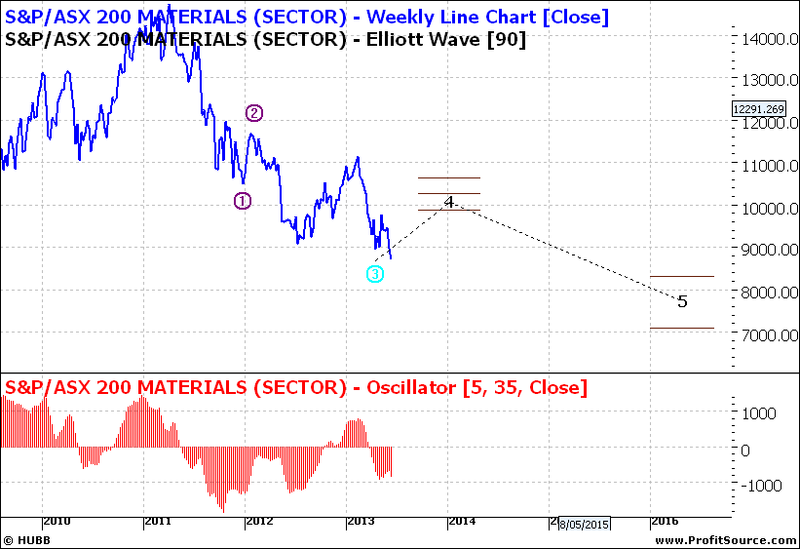 Here we can see that the market is in a five wave impulse move down. 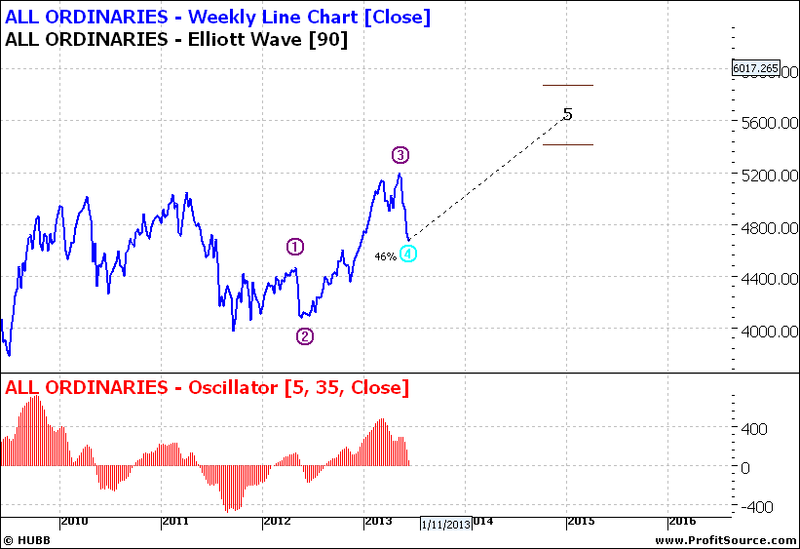 This is not yet a bear market but rather a correction. A level of 4600 seems almost inevitable and then we watch to see if 4400 will be the next target. We do not have to form a view about that yet. 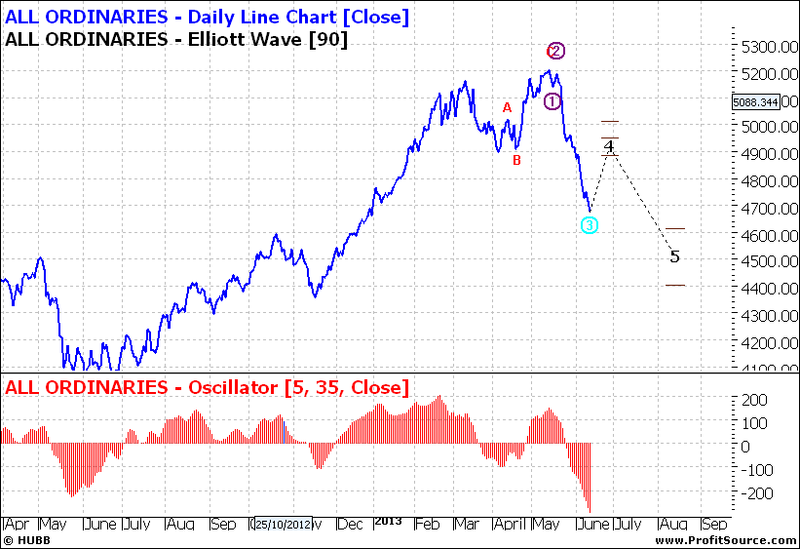 It is also important to note that the oscillator confirms the very week market we now are experiencing. But I am very cautious about that and will simply wait and see. 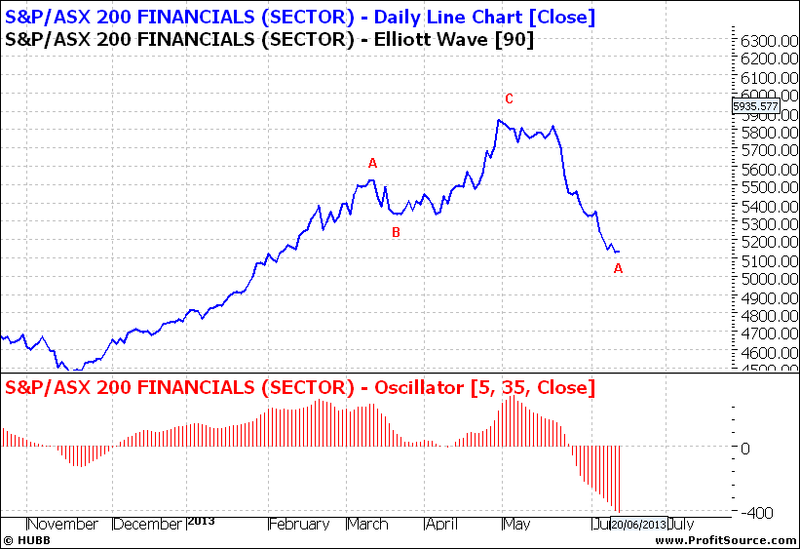 The Financials daily index says a low is sort of a near – maybe range trading – but the trend down has paused. 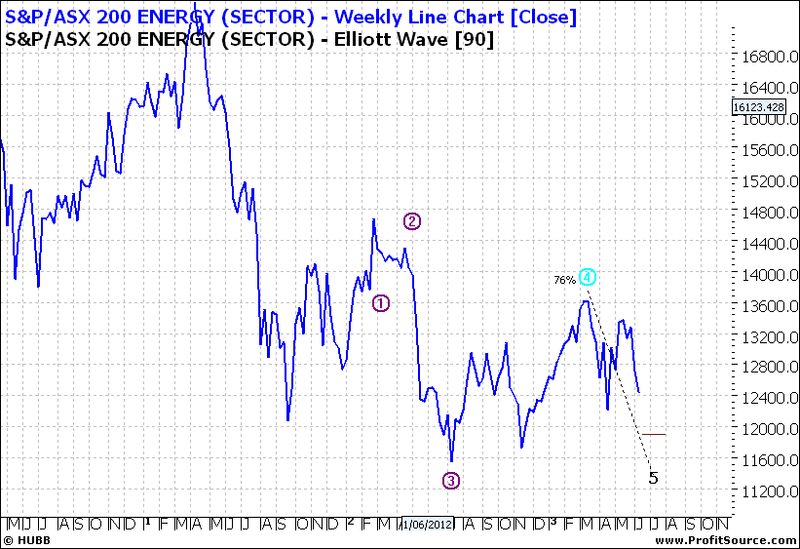 But the weekly says there is more downside and again we need to see how that bears out. 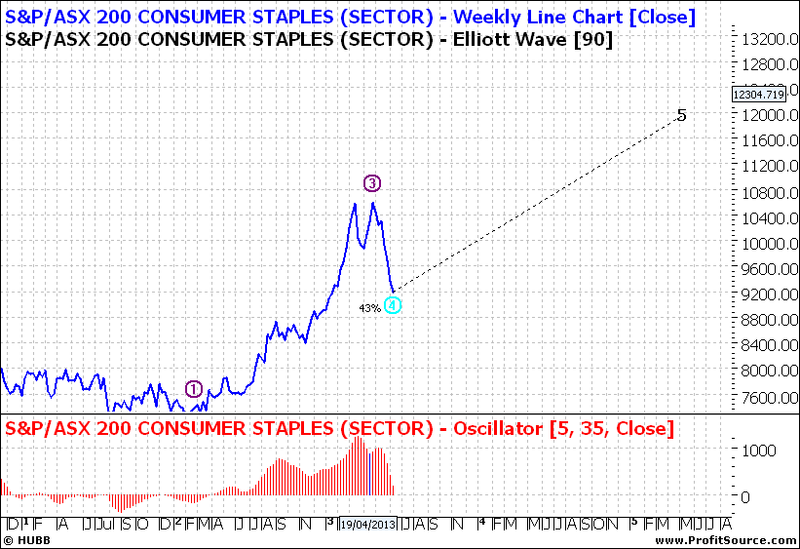 Staples could consolidate here as we still need to eat and we can’t give up the drink! 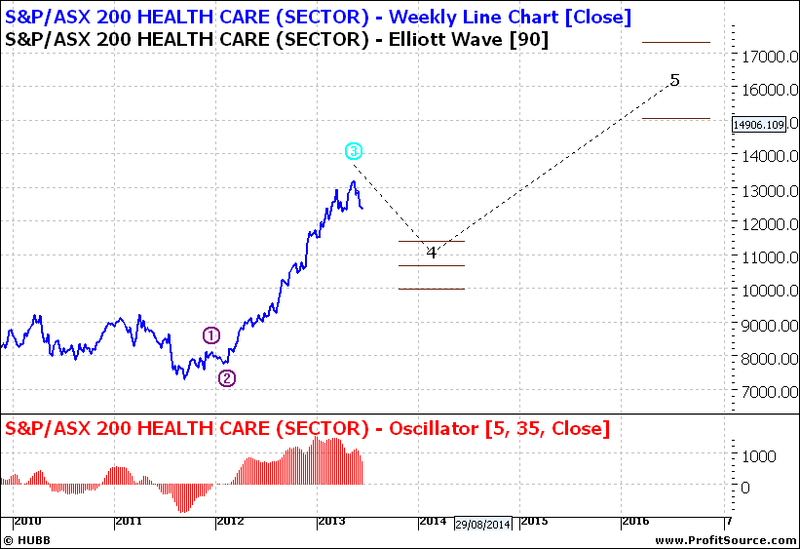 Health Care has had a big run and so a decent pullback is no great surprise. 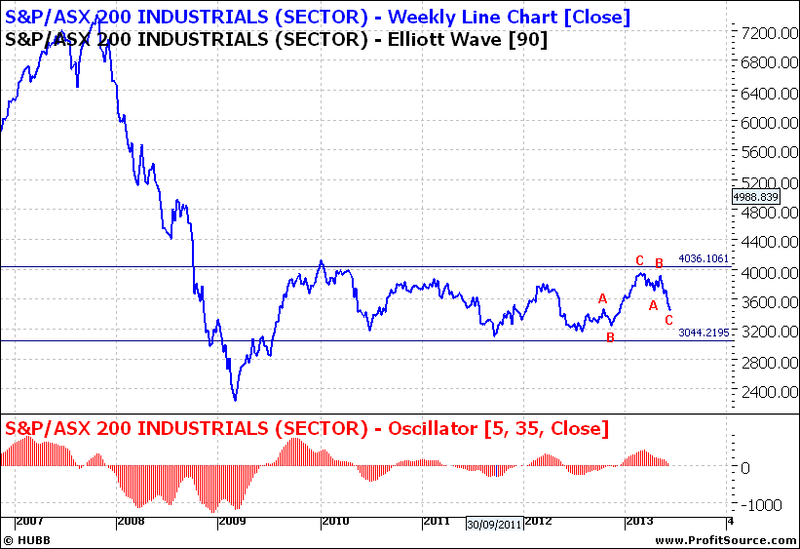 Industrials have been dead for years and little life is apparent. And you might just pay a little less for petrol but energy companies will struggle to leverage profits. 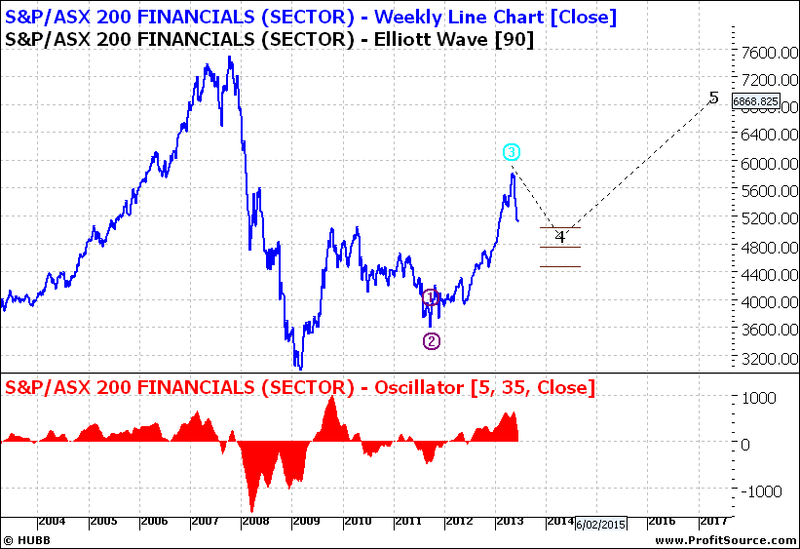 So it is a mixed picture overall and thus it is not easy to develop a clear investment plan around such an outlook. This is a time when perhaps risk management is more important and later we can focus on the next move whether that be up or down.